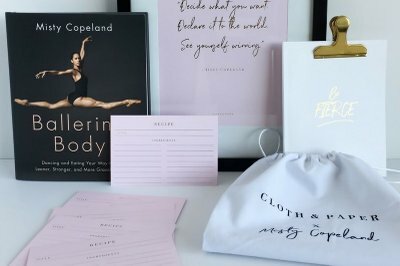 Enter your email address below to receive a notification when CLOTH & PAPER starts accepting new sign-ups! Enter your email address below to receive a notification when CLOTH & PAPER is accepting new sign-ups again. We ship between the 19th-23rd of every month. Subscribe by the 14th to receive February's box. 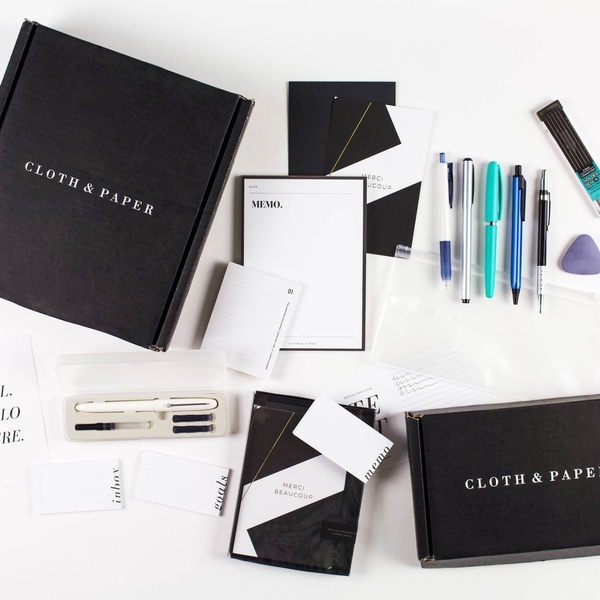 What is CLOTH & PAPER? 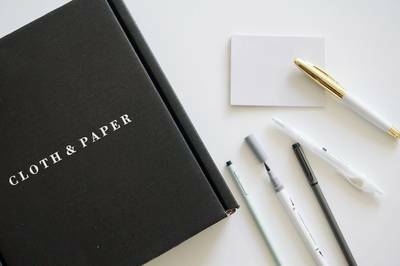 Appreciating the finer things should not stop with your desk supplies! 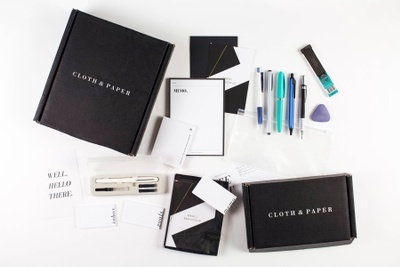 Cloth & Paper offers a wide range of fancy pens, stationery, and planning goodies. 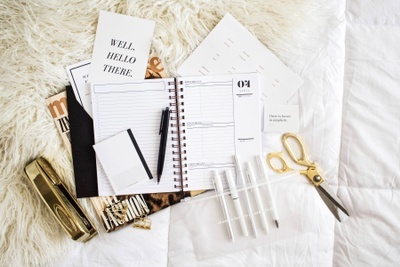 Our team wants to help you create an organized life with a luxe look. 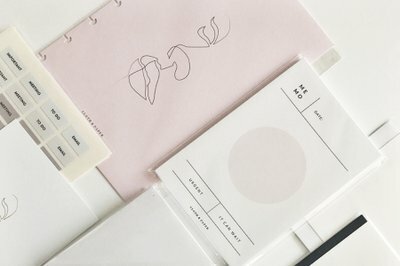 For anyone into mature and beautiful planner products, pens, and stationery Cloth & Paper is a must! 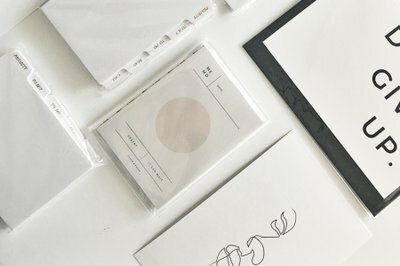 Exclusive and unique items for the paper lover! 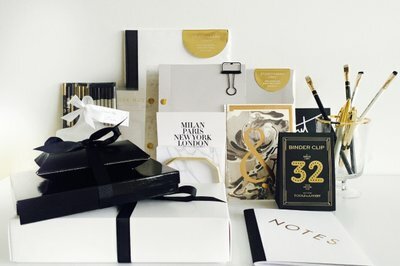 Beautifully Curated and Wrapped boxes. Makes a great gift. 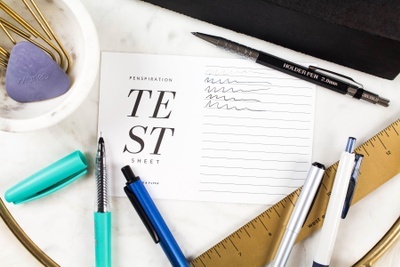 Pen Box: 5-7 stylish pens, pencils, and/or writing tools. 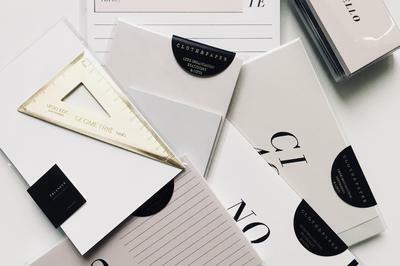 Planner Stationery Box: Planner related stationery items, organizational supplies and writing tools. Boxes ship between the 19th - 23rd of every month. EDIT SECOND BOX: OMG C&P...how did you know I wanted a washi tape holder?! And those planner inserts!...and that pink pen! !....I am a subscription box fanatic and this is one of my top favorites. I love it! Beautiful items and I love the messages inside each box! I’m so happy that I found this company and I will absolutely recommend this subscription to friends. Thanks! This was such a fun gift! I loved every box! I am ready to cancel all my other subscriptions and just keep this one because this one is AWESOME! I love the dispenser for the washi tape. 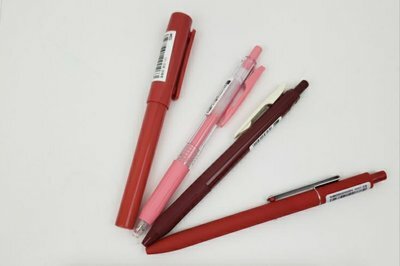 Love, love, love all the pens in the Penspiration box! The Le Pens that are included in the stationary box write soooooo smooth, it feels like I'm writing with an eyeliner! I love everything! Keep up the good work Ashley! For those who are complaining about the monthly price, maybe you should try a three month subscription so you could save some money! 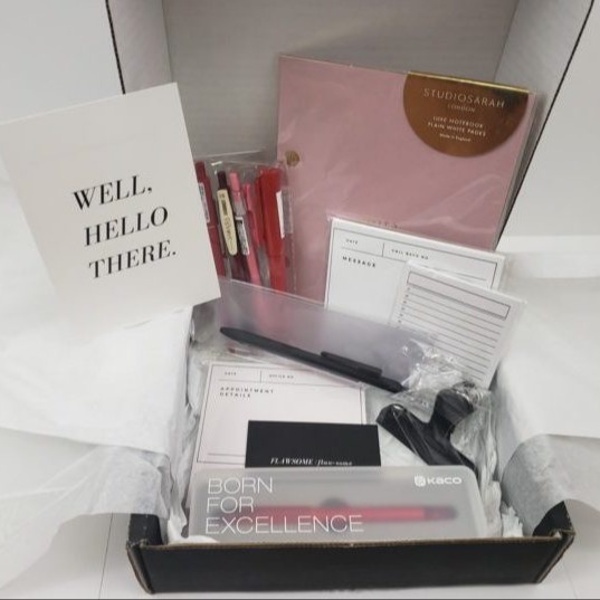 I received my first stationary and penspiration box today. After reading the reviews and seeing what the January and February box had to order I decided to take the plunge and sign up. I even bought the cloud gray A5 planner in anticipation of possibly some great things to use with it. 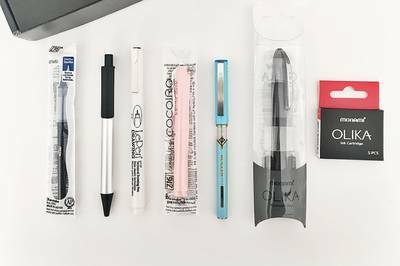 The pens that came as part of the Penspiration box were fantastic, no complaints, and I’ll likely continue but the Stationary box was disappointing. 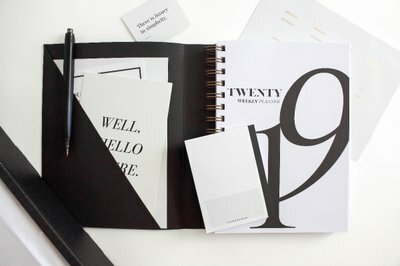 The planner inserts were nice but there weren’t that many included, it really was like a sampling. I didn’t care for any of the other items in the box. There was some sort of weird looking acrylic tray/holder in the box but no description on what it was. I might give it a try for one more month but the next box is really going to have to be stellar to convince me to stay subscribed for almost $50 a month. 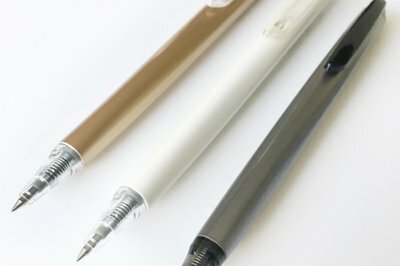 Best subscription for the Pen Lover!! I love this subscription. Sad that this month is my last one. 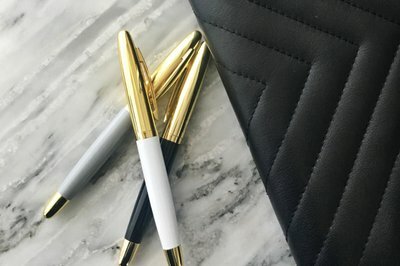 Each month had an amazing pouch full of amazing stylish pens! Definitely plan on subscribing again For myself and as gifts for other pen lovers. My friend gave me a 6 month subscription of the pen boxes for Christmas and I have become OBSESSED! I feel like I finally understand those people who know every detail about different model cars. 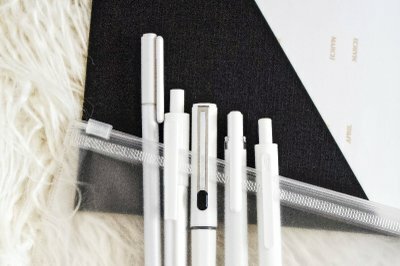 All of the pens are so nice and beautiful, and with 5-7 per month, I moved from restocking my desk to upgrading the pens that I keep in my purse and around the house. It was low-key very exciting. The packaging is super nice, too. All the boxes are a great looking black cardboard and the pens come in frosted plastic pencil cases (Medium quality zip or snap cases. Not the most durable, but they're definitely not the cheapest quality, I'm impressed) and include a little postcard so you can test the pens. 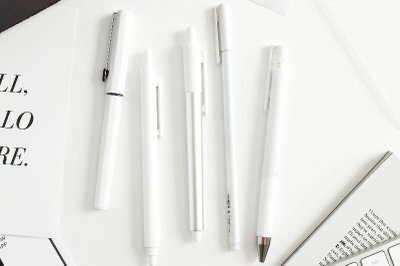 I love pens and I love these pens. Funny how this was an accidental purchase that I ended up loving. I loved my first box. 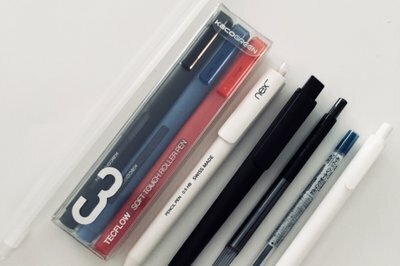 I was pleasantly surprised by the amount of items I received and I love that it was mixed to include pens, pencils, an eraser and a sharpener. I was not disappointed. Thank you. 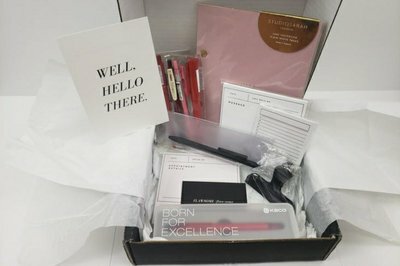 Worst subscription box I have ever tried. DO NOT PURCHASE. 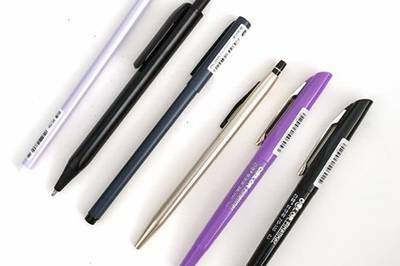 you’re better off running to your local OfficeMax and picking up 7 pens there. Thank you for trying our box, although we are sad to hear that you didn't care for it. 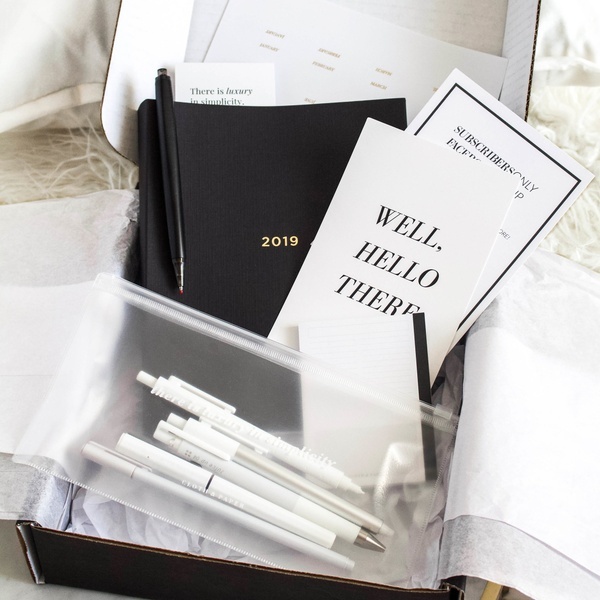 We would love to know more specifically what you didn't like about the pens as well as what your expectations were as the box is delivered as described each month. Also, can you fill us in on which month's box are you referring to specifically, as this review was left 60 days after your last delivery? 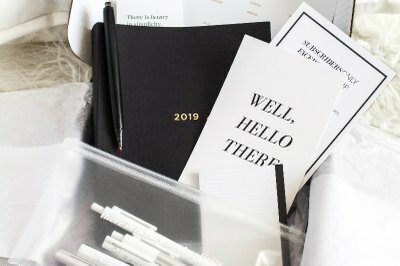 October's Stationery Box included black and white greeting cards and a fountain pen. The Pen box was all blue and purple themed!